We’ve been nominated for the NatWest Great British Entrepreneur Awards 2018! We are over the moon to have been shortlisted for the 2018 NatWest Great British Entrepreneur Award. Listed as a finalist in the ‘Family Business Entrepreneur of the Year’, all of us (Tina, Kevin, Danny, Johny and Martyn) are in the running to be awarded this prestigious accolade on Thursday 15th November 2018 when winners for the North will be announced. We’re up against seven other candidates for the North region, including Sanjay Aggarwal of Spice Kitchen and Raskiertan & Manveel Deol from Build My Gift. And with organisers reporting record numbers of applications for the 6thyear of these awards, we’ve already faced strong competition to get this far. The ‘Family Business Entrepreneur of the Year’ title will be awarded to entrepreneur(s) leading and excelling within a family business, whether a newly launched venture or long-established company. 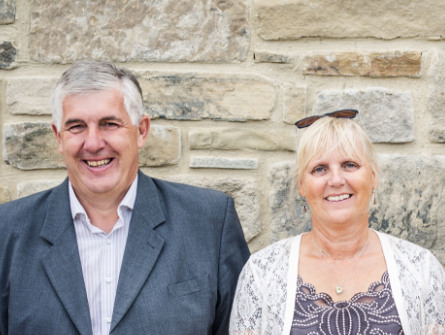 We’re quietly confident and hopeful that we have enough in our favour to swing it for Stablewood Leisure – since our launch in 2011 with five holiday cottages, we’ve continued to grow and were even crowned National Winner in the ‘Family Business of the Year’ category of the FSB Celebrating Small Business Awards! The NatWest Great British Entrepreneur Awards celebrate British business diversity, creativity and sheer hard work. Many previous winners have gone on to become household names – James Watt (BrewDog UK), David Buttress (JustEat UK) and Shaun Pulfrey (Tangle Teezer) – to name but a few.